Trying to get the best out of distributors in some less developed markets is particularly challenging. The traditional non-key account trade is unstructured and characterised by very many players many of whom are opportunists and not interested in developing a professional business. So how does a Producer (manufacturer) deal with this state of affairs? Many manufacturers have responded by introducing programmes aimed at trying to get the best out of their distributors. These programmes are many & varied. 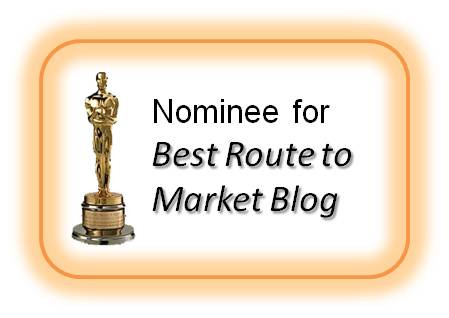 Collectively I will call them Route to Market (RTM). I have been discussing RTM with a number of Senior Managers from multinational organisations in various markets in Africa and Central & Eastern Europe in the last few weeks. I have been working in Africa since 1993 & Central & Eastern Europe since 1996 including on RTM programmes. 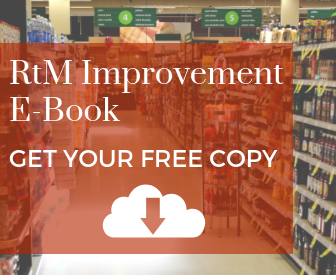 Although every market is very distinctive and offers its own specific challenges, there are similarities with how to approach RTM Programme and get the best results. ‘Model’ Distributor. Define this in terms of size (e.g. minimum volume / turnover), processes (front office & back office) and financials (balance sheet, P&L, cash flow). It is worth considering the world from the view of a distributor shareholder and ask what (financially) the business must look like, in order that they are encouraged to invest in assets, systems, people? 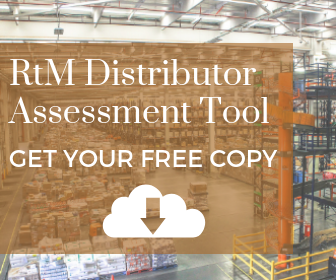 Distributors can be graded according to compliance with a predefined set of standards (e.g. gold, silver, bronze). With a reliable audit process, they can then be rewarded according to demonstration and maintenance of these standards. 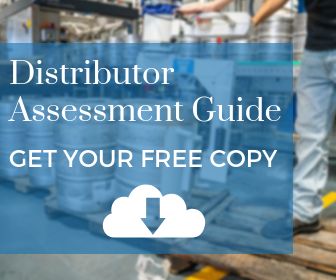 Enchange has developed a series of distributor assessment tools; a ‘Lite’ version is free to download. Data. 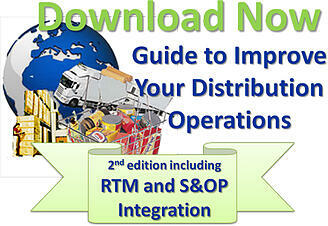 RTM programmes should try to capture Distributor key data including Point of Sale (POS) data. The minimum is POS contact details. Ideally it could include sales / stock out of the distributor and POS sales / stock data. This data greatly improves supply chain demand visibility, enables stock replenishment and reduces distribution risk in the event that a distributor fails. With a ‘manageable’ number of distributors, the producer can help implement the same system in each distributor. This is ambitious in many markets and should only be attempted if there is a strong business case to do so. Often a data capture process is sufficient. Process Design & Integration. New standardised distributor processes raise the possibility of process integration with the producer / manufacturer, particularly if a stock replenishment model is being implemented. In particular there is the opportunity to capture more reliable sales forecasting data (from sales out of distributor) and integrating this data capture process with the Sales & Operational Planning (S&OP) processes of the producer. Once implemented this can drive dramatic improvements in customer service and significantly reduce inventory in the outbound supply chain. Order capture. Try to insist on a standard process including electronic order capture and where possible use of a standard order form. As a minimum, insist on the capture of data that supports the above. Key Performance Indicators (KPIs). At each stage of the programme, the producer / manufacturer must decide upon the desired outcomes. This is not always an increase in sales as, for example, movement to a stock replenishment model can lead to a one-off decline in sales to distributors as the trade destocks. Decide upon the desired performance of the distributors (sales, promotions, stock, returns, service levels, forecasting accuracy, etc) and implement the appropriate supporting KPIs. Keep KPIs to a manageable number (max of 10) and consider using a Balanced Scorecard approach. Distributor Contracts. Align these to the KPIs and include Service Level Agreements (SLAs). Be clear about expected performance levels and visibility, implementation of any RTM programme, information and data exchange, etc. Include a review & monitoring process and be clear about expected performance improvement by the end of the contract period. Roles. 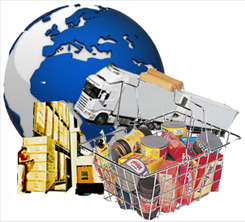 Most RTM programmes involve a significant change in roles for the Logistics / Supply Chain and Sales Departments. For example, the role of Sales can change from a traditional selling role to one of support for distributor partners. If a stock replenishment model is implemented, the key selling activity moves to the point of sale under the auspices of the distributor with the role of the producer / manufacturer Sales Department being one of support and training. It is not unusual for this change to be resisted by Sales as it can be perceived as a loss of power within the Sales Organisation. Keep it Simple (KISS). The ‘KISS’ principle should apply. If the change is too difficult to easily explain to the distributors, the chances are that the programme will stall or fail. Timing. At each key stage of the programme, aim to use any ‘low’ season for design, piloting, briefing and training. Ideally rollouts should have taken place before volumes pick up in any high season. Pilot. Whatever the design, it will likely be a major change that should be piloted with selected distributors. It is often wise not to over-commit to elements of the design (i.e. create ‘wriggle room’) in the event that significant changes are needed for rollout. Change Management. Most RTM programmes involve very significant change. Ensure that as a minimum, the following are addressed in some way: a) Create a change management strategy (start with readiness assessments of distributors; a strategy map can also greatly help); b) Engage senior managers as sponsors of the change; c) Communication that develops a strong message and awareness of the need for change; d) Involve people (producer & distributors) through the transition including by workshops in the design and implementation stages; e) Education & Training to support the change especially within the distributors; f) Measurement & Reward - methods to gauge progress (e.g. KPIs) , reward appropriate behaviours (e.g. bonuses) and reinforcement (e.g. award schemes - distributor / employee of the month) to sustain the change. For more information about RTM, we have an RTM e-book; the new second edition, focussing on RTM in CEE is available as a free download. And most of all keep in mind why you are doing this. When correctly implemented, RTM programmes always deliver an increase in sales revenue and often at very significant levels.